There is nothing worse than spending good money for a second hand car to only find that it is a lemon. Bald Hills Mechanical can perform a pre-purchase inspection on the vehicle you are thinking of purchasing. 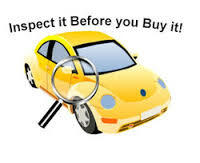 You will receive a full report of the vehicle and the condition it is in, you may even be able to reduce the sellers asking price.